Health Plus, Inc. was founded in 1981 by Rita and Pat Mediratta. Recognized as a pioneer and leader in the use of Psyllium in the whole husk form, Health Plus enjoys a major share of the Psyllium market in the Health Foods Industry. Super Colon Cleanse ® was developed with the philosophy that every 4 to 6 weeks the colon should be thoroughly cleansed. 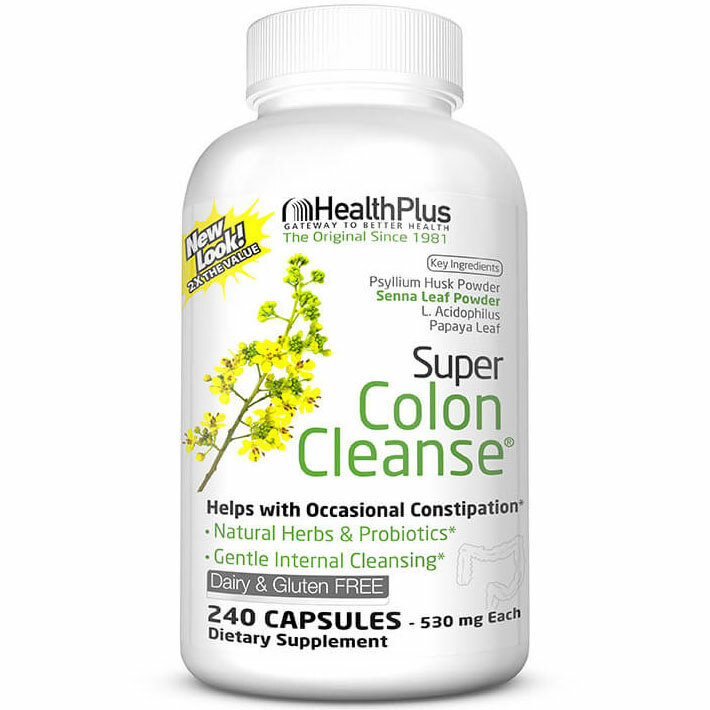 Ingredients such as Psyllium Husk powder and Senna Powder in Super Colon Cleanse may give your body the extra assistance needed to help properly eliminate harmful toxins and waste.